Live video streaming for medical conferences. Fit a million viewers into your operating room, with live video streaming. Bring surgeries and operations from hospital operating theatres, to your medical conference location in realtime, with a 2-way low latency conferencing. 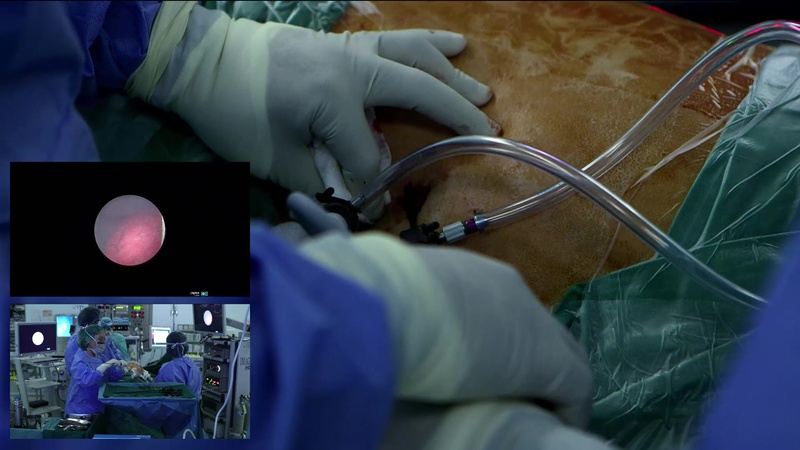 Combine the view from your endoscope and a wide shot coverage of the operating room in the live video stream. Combine endoscope, surgeon point-of-view and a wide overall view to your live transmission from the operating theater to your medical conference location. Conference attendees at the medical conference will be able to ask the surgeon questions, over a voice audio feed that goes to the operating room. Think of this as a 2-way satellite feed, except it’s a lot more affordable and doesn’t require time-consuming licensing applications. We are able to deploy with minimal interference to your hospital operations and we serve a global audience. There is no limit to the number of simultaneous operations that can be transmitted. Speak to our broadcast producers about your requirement. All events are run differently and we will be able to customise the setup according to your requirements. 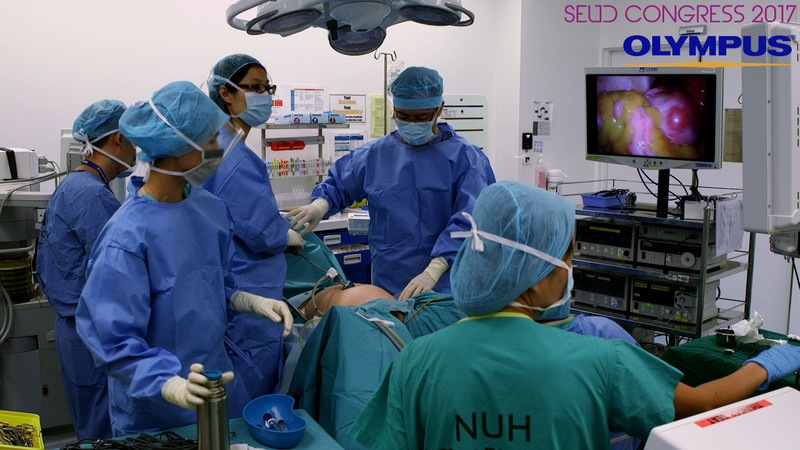 At the transmission site at National University Hospital Singapore, surgeries that are conducted in operation theaters, are transmitted to the Suntec City Convention Center, where the Medical Congress is being held. This is a 2-way transmission where attendees are able to speak to the surgeon via a low latency connection that feels as responsive as a phone call and yet have broadcast television standard quality. 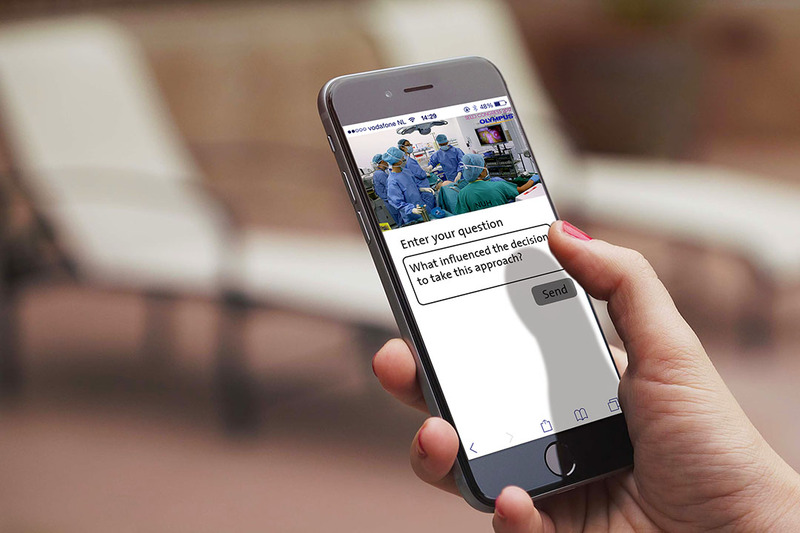 The live surgery can also be transmitted at the same time, to online viewers, via the Motion Media Works live webcast platform with Q&A functionality. You can now have millions of online viewers ‘participate’ in the operation and submit questions to the surgeon, through a moderator. Bring a million visitors into your sterile operating room and let them be a part of the process with a live remote webcast. Our platform has been tested for one million concurrent viewers per event. Viewers will be able to watch from any smart mobile phone/device, laptop or desktop with a web browser. No installation of application or software needed. Live stream to remote viewers anywhere. Landscape orientation plays video in full screen mode.